See our antique & vintage Kashan rugs now available. Conversation and activity groupings are created with the use of a series of vintage Persian carpets of different styles. 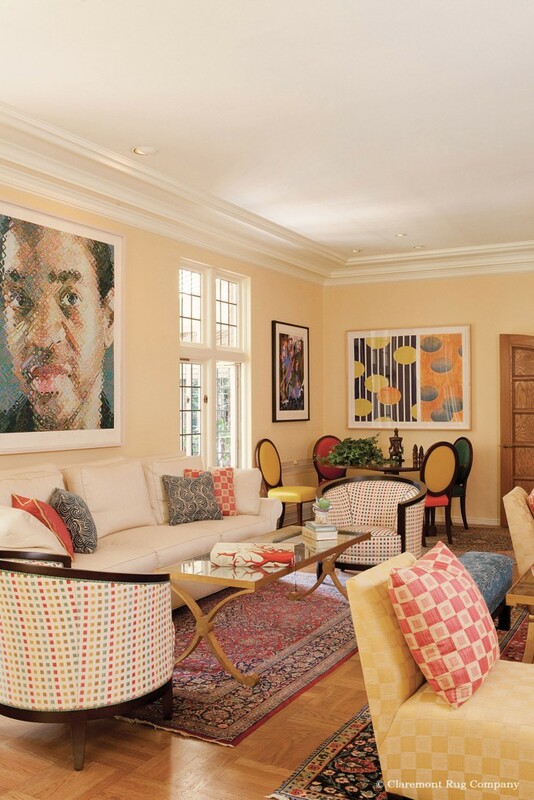 A small room size Kashan rug holds the seating area under the silkscreen by American photorealist Chuck Close echoing its colors and even its detail work.